If you haven’t experienced the joys of 3D printing, you’re missing out. The fact that you can turn almost any reasonably sized 3D model into a real-life object is amazing, and is perfect for the Christmas season — both as decorations and as gifts. Not entirely sure what 3D printing is? Our quick overview of 3D printing is a good way to get started without getting too bogged down in details, but you can also check out our ultimate guide to 3D printing to learn everything you need to know about it. Here are some of the best 3D printing ideas for Christmas decorations and gifts this season. Don’t have a 3D printer of your own? That’s fine! You can still take part by using an on-demand online 3D printing service The Best Websites to Order 3D Prints From The Best Websites to Order 3D Prints From While 3D printing is getting cheaper everyday, it's not for everyone. These awesome websites handle all the hard work for you. Read More ! It’s cheaper than buying a 3D printer, that’s for sure. For when you just don’t have the time, money, energy, or space for an actual Christmas tree, this miniature Christmas tree is a great 3D printing idea. It fits in perfectly on an office desk, a dorm desk, an entryway side table, a coffee table, a nightstand, and more. This spinning Christmas star decoration can be mounted at the top of a Christmas tree or hung from its branches. Its three concentric stars each rotate independently of the others, making for an interesting sight and a great conversation starter if you host parties. A Santa ornament may not be original, but sometimes traditional trumps original. This soft and welcoming ornament fits in on any Christmas tree, and can be spruced up either by printing with colored filament or painting after the fact. This Rudolph ornament is almost identical to the Santa ornament above, except it showcases a reindeer instead of Santa. The two complement each other quite well, and you should definitely have both of them on your tree. If you’re more into generic ornaments that can be printed en masse and thrown all over your Christmas tree, then consider these holed Christmas ornaments. They strike the perfect balance between traditional and non-traditional: a normal ball shape with an unusual pattern! 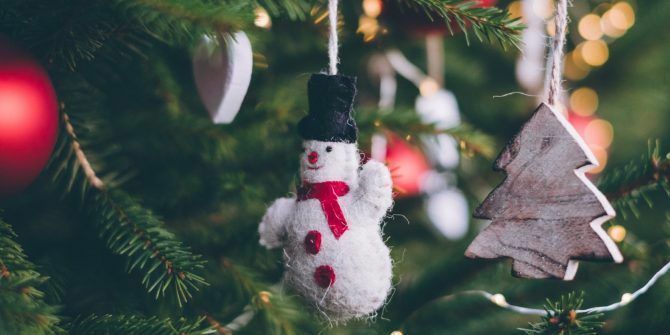 The final 3D printing idea for a Christmas ornament on this list is the snowflake decoration, which is simple, traditional, and mass-producible. They’re delightful enough that you don’t have to constrain them to your Christmas tree. Hang a bunch of them around the house for a true winter feel! For something subtle but atmospheric, put one of this sleigh and reindeer decoration in every room of your house. It’s thin and light enough to sit on top of any wall hanging, or you can use double-sided tape, or just set them up on shelves, counters, desks, etc. These reindeer figurines offer a bit more dazzle and pop than the silhouettes above, and they are noticeably more three-dimensional, making them a better option for coffee tables, dining tables, side tables, and anywhere else that you want to liven up. To get that glittery look, spray paint it with glittery spray paint! Want to tap into the cute side of the holiday season? These jointed Christmas figurines are a great 3D printing idea, either as decorations for the house or as playthings for younger children (but not too young because these can be choking hazards). After printing, have some fun painting them! These Christmas cookie cutters have a pleasant aesthetic quality that makes them fit as decorations. 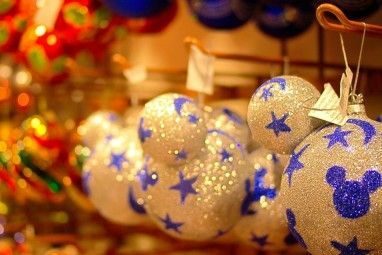 Leave them out or hang them up to add a dash of festive color to your home. And if you bake, use these to cut your cookie dough into relevant shapes! For the chess lover in your life, this spiral chess set can be a great casual set for occasional play, and doubles as a decorative piece and conversation starter if they’re willing to leave it out on a table or desk. Print in a high-quality material for maximum impact. This beautiful puzzle chess board goes well with the spiral chess set above, but also works well with any other chess piece design. It’s subtle and pleasant, yet eye-catching at the same time. Feel free to print in whatever light and dark colors you prefer. The “trinity knot” (also called triquetra) represents the three main promises of any solid relationship: love, honor, and protection. You can gift this to anyone with whom you have a strong and lasting bond, whether romantic or platonic. The Christmas season is the perfect time to break out scented candles, and what better way to take it to the next level than with a coral candle shade? The design casts an incredibly atmospheric shadow that looks great anywhere, and fits well even long after the holiday season is over. Puzzles always make for great gifts, especially for younger children whose brains are still developing. This bedlam cube puzzle comes with 13 unique geometric pieces that can combine in over 19,000 ways to form a perfect cube. Yet even so, it isn’t easy to solve! For a kid or teenager who loves guns, you may prefer to gift them a rubber band gun instead of an airsoft gun or paintball gun. It’s safer, cheaper, and a great way to make use of whatever stray rubber bands you may have sitting around. (Note: As of this writing, this project is marked as a work in progress so it may change and improve over the next few months). These lightweight indoor boomerangs are excellent for all ages, providing an alternative way to expend pent up energy than using a fidget spinner, or twirling pens, or what have you. It flies in a 1-meter radius, and it’s super lightweight so won’t cause any damage on impact. For the tech geek in your life who has too many USB cables and devices, this USB cable holder is a practical gift option that will help organize their life. You can stack them side by side, and it comes in four USB varieties: regular, mini, micro, and Apple. If you have a friend who’s obsessed with their Nintendo Switch, you could surprise them with one of these amazing Nintendo Switch eShop games The Best Nintendo Switch eShop Games The Best Nintendo Switch eShop Games Got a Nintendo Switch and don't know what to play? The eShop holds a ton of awesome games. We'll show you the best ones you can buy right now. Read More . But what if you don’t have the money, or what if they prefer to buy their own games? You can print them a Nintendo Switch cartridge case to hold all of their games and stay organized! 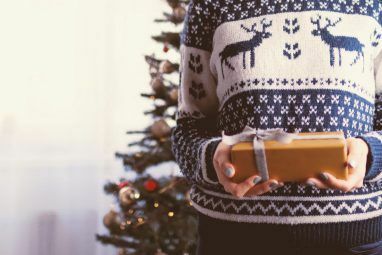 Last but not least, if you plan on giving a small or medium gift and want to wrap it in something more unique than wrapping paper or a gift bag, try one of these Christmas gift boxes. The best thing is you can scale them to whatever size you want, and you can print each component in whatever color you want, resulting in endless flexibility in customization. In addition to all the above, we have a bunch of not-related-to-Christmas 3D printing ideas you can check out. After all, just because it’s the Christmas season doesn’t mean everything has to be a gift, candy cane, or tree ornament! Some interesting ideas include these 3D-printed Star Wars props, these 3D-printed games to play at home 6 Coolest Games You Can 3D Print at Home 6 Coolest Games You Can 3D Print at Home Everyone knows about 3D printers, but what you might not know is how fun 3D printing is, and how much fun it can create for your whole family. We're talking 3D printed tabletop games. Read More , and these 3D-printed tabletop RPG minis The Best 3D Printables for Tabletop Fantasy RPGs The Best 3D Printables for Tabletop Fantasy RPGs If you prefer an immersive experience for role playing games, there's a new way to do it: use 3D printing to create physical terrain pieces and miniatures. Read More . 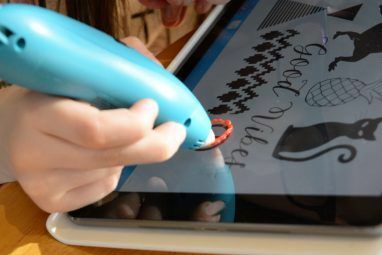 Or you can take the more practical route and instead opt for useful at-home 3D printing ideas 30 Useful Ways 3D Printing Could Be Used At Home 30 Useful Ways 3D Printing Could Be Used At Home In the future, 3D printers will be as essential in a home as having a smartphone or wireless Internet. Here's a glimpse into the things you can 3D print already to upgrade your home. Read More , ways to organize your workspace with 3D printables 9 Ways to Organize Your Office With These 3D Printables 9 Ways to Organize Your Office With These 3D Printables I you've purchased an affordable home-use 3D printer, you can transform your workstation with these simple-but-useful 3D blueprints. Read More , or fun ideas for taking your dorm room to the next level with 3D printables 20 Awesome 3D Printing Ideas for Students and Dorm Rooms 20 Awesome 3D Printing Ideas for Students and Dorm Rooms More and more colleges and campuses have 3D Printers available for student use. Here are 20 cool things you should print first. Read More . What are you going to 3D print this Christmas? Are there any cool ideas that we missed? Share with us down in the comments, and have a wonderful holiday season! Explore more about: 3D Printing, Christmas.